“Let’s have more conversations. Let’s have more driveway conversations” said David Manne. 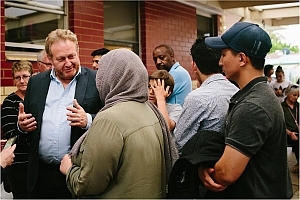 On Tuesday night when the rain fell we moved to a driveway and shared in conversation with David Manne, Human Rights Lawyer and Advocate. 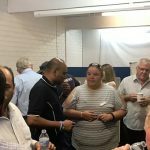 Employment opportunities and social isolation are some of the issues that need addressing if more humanitarian migrants are to relocate to regional Victorian centres. 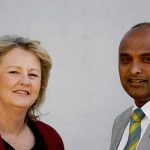 These are two of the key messages taken from a meeting of the Strategic Engagement Co-ordinators in Shepparton during November 2018. People with low English and literacy levels can access key brochures in Easy English and translations of five priority languages from BeyondHousing. 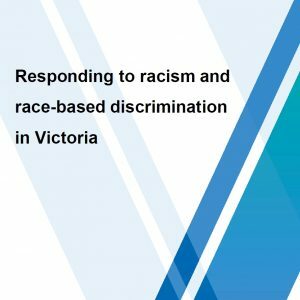 The Ethnic Communities Council of Victoria – partnering with the Ethnic Council of Shepparton and District – will conduct a Gambling Harm Forum in Shepparton on Tuesday, 27 November.